Without question the greatest joy and meaning I’ve experienced through my years ministry in parish and hospital settings has been listening to fellow travellers on “the road to find out”. 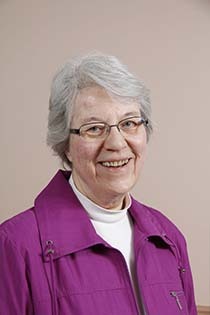 Whether standing alongside a family in health crisis as a hospital chaplain, fostering experiential learning as a Clinical Pastoral Education (CPE) supervisor, or sojourning sacred paths of prayer and discovery with a person in spiritual direction, there is always the opportunity to listen with both accrued skills and a disposition of open heartedness. I see prayer as a relationship between the Divine Other (whom I also call God) and the spiritual seeker. God loves us first, and keeps loving us no matter what. Learning to receive this divine love and open to its leading can be a life-long process. In serving through a ministry of spiritual direction, I see myself as one who witnesses the relationship evolving between the Divine Other and the spiritual seeker. In this concentrated listening I seek God’s guidance and wisdom so that I may respond to the seeker with compassionate respect, suggesting spiritual resources from both my own Christian and Roman Catholic traditions and the wealth of spiritual wisdom found in diverse faiths. My spiritual formation and education for spiritual direction has occurred through Master’s studies at Creighton University in Omaha, Nebraska, Newman Theological College in Edmonton, Alberta, and doctoral studies at St. Stephen’s College in Edmonton. I am certified as a Specialist in Spiritual and Religious Care as well as a Teaching Supervisor in CPE with the Canadian Association for Spiritual Care (CASC/ACSS). Newly retired, I’m following a leading of spirit that brings me to a more intentional offering of spiritual direction as a way of continuing to serve through ministry.